Spring has been so early this year that, even though we’re hardly past the middle of April, the cherry blossom season is almost over. 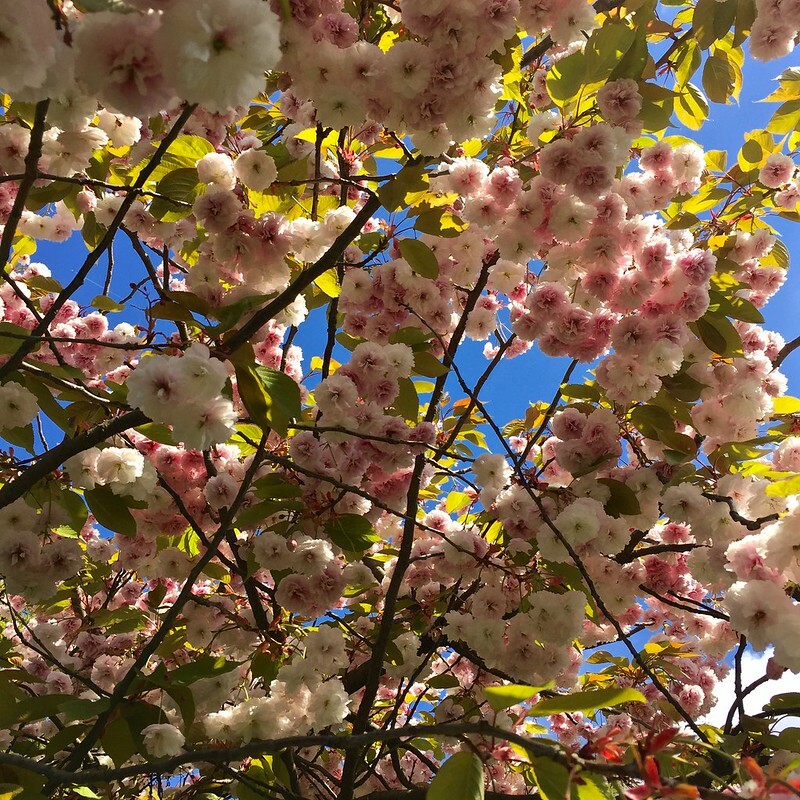 So what are your chances of catching the last of the blossom before it all vanishes? Good, if you act quickly and know where to go – which I’m about to tell you. Many of the cherry blossom viewing spots in my top five guide are finished for this year. The exceptions are Kew Gardens and Regent’s Park which still have some blossom – if you hurry. 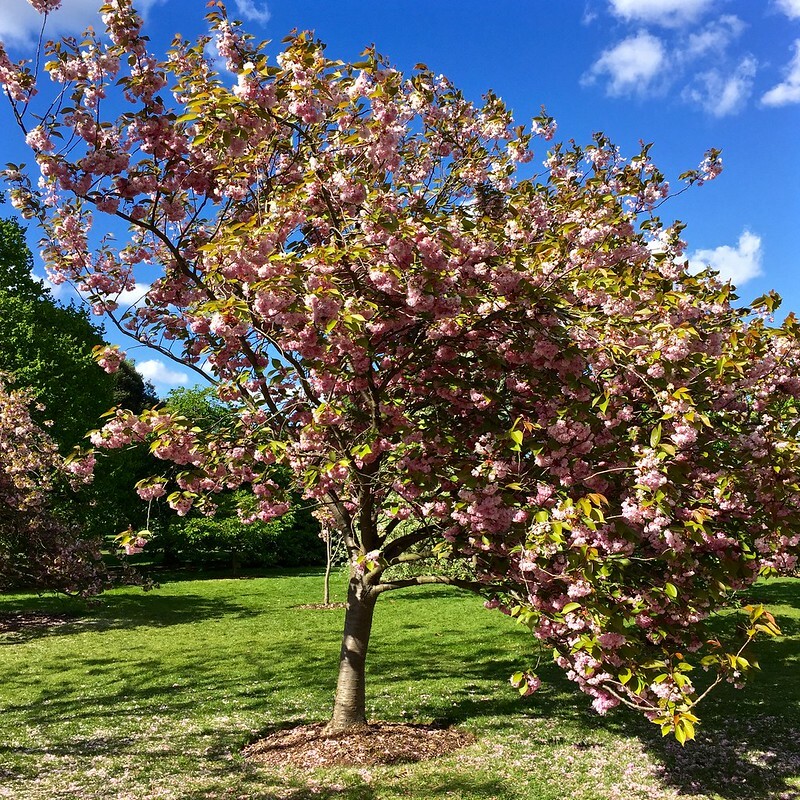 At Kew, even the normally reliable late-flowering cherry blossom avenue between the Palm House and the Temperate House is already over. 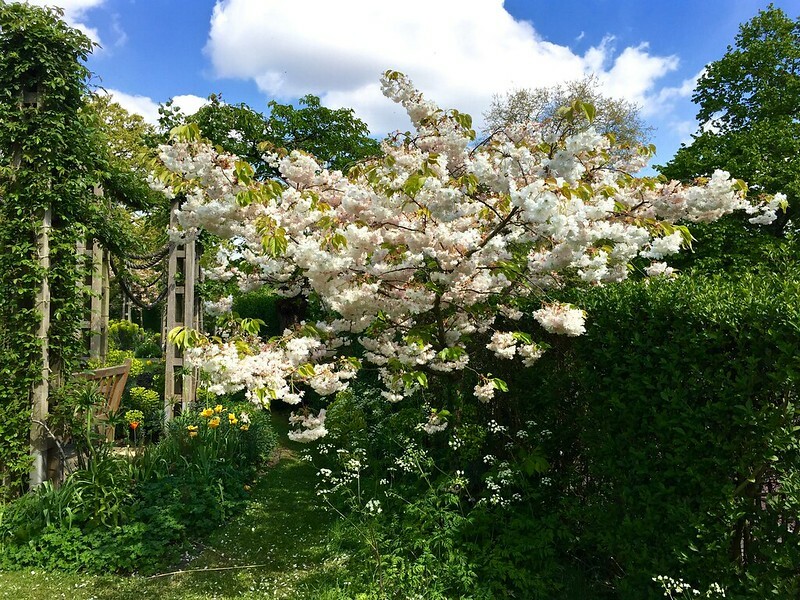 But you can find some blossom behind the Palm House where several lovely trees are still in flower, though petals are falling even as I write. If you find the cherry blossom gone when you get there what can you do? 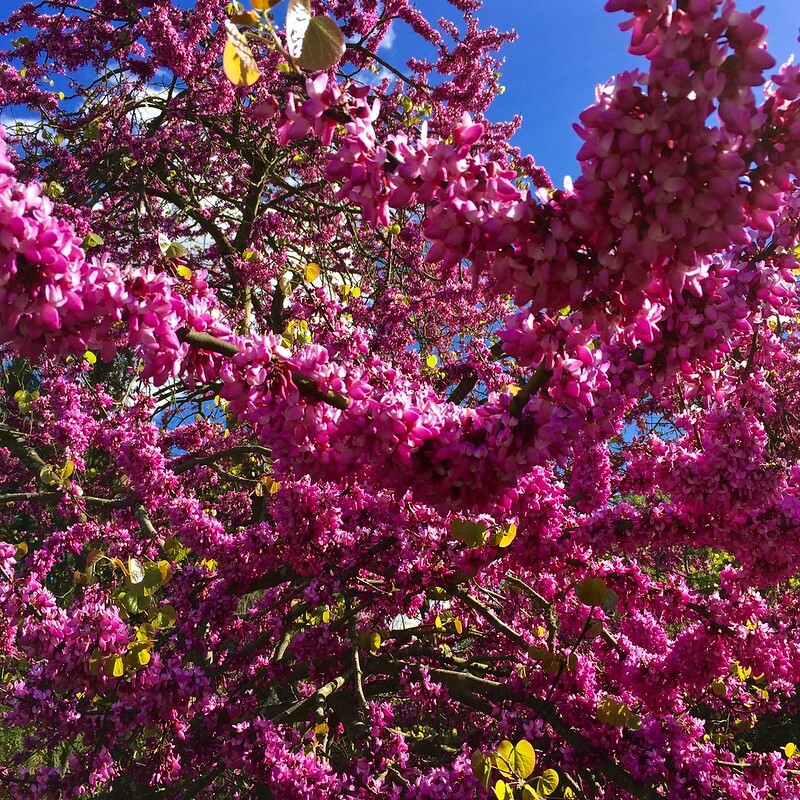 Well, try the Judas Tree next to King William’s temple – it’s spectacularly in flower right now. Regent’s Park offers some hope too. 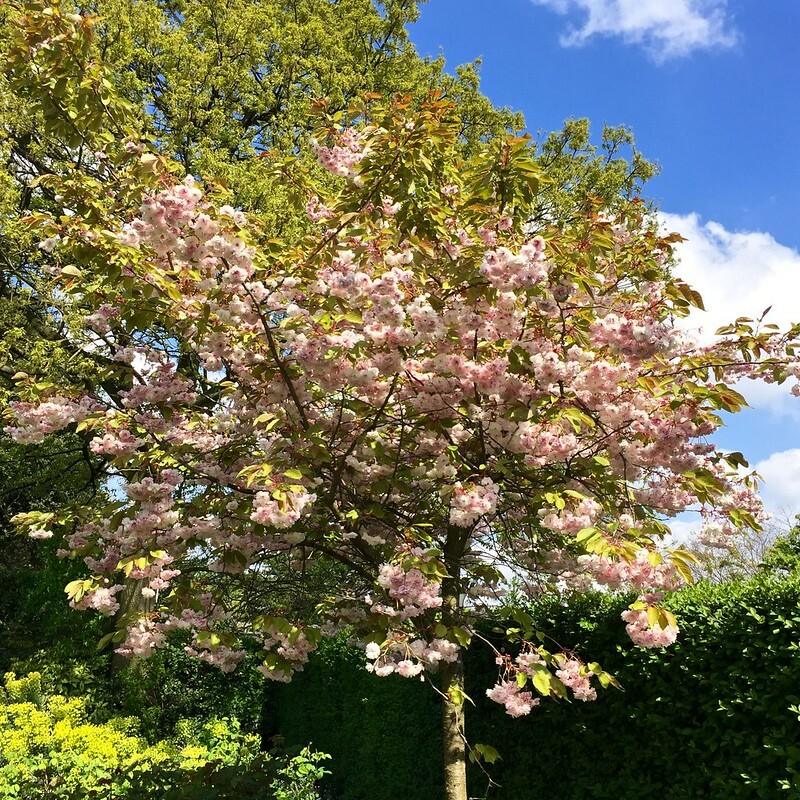 There a small grove of cherry trees at the Chester Avenue end of the English Garden that would be perfect for your late season hanami picnic. There are a couple of individual trees near Queen Mary’s rose garden which are lovely too. Sadly, that’s it. 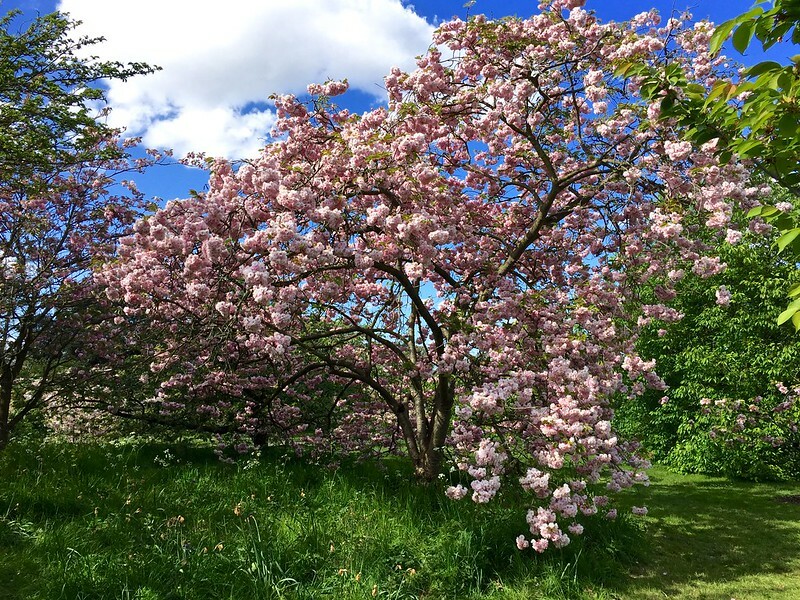 The rest of the blossom in my report on Regent’s Park a couple of weeks ago is all gone. An alternative picnic spot would be beneath the paulownia tree just the other side of the hill from the cherry blossom grove. 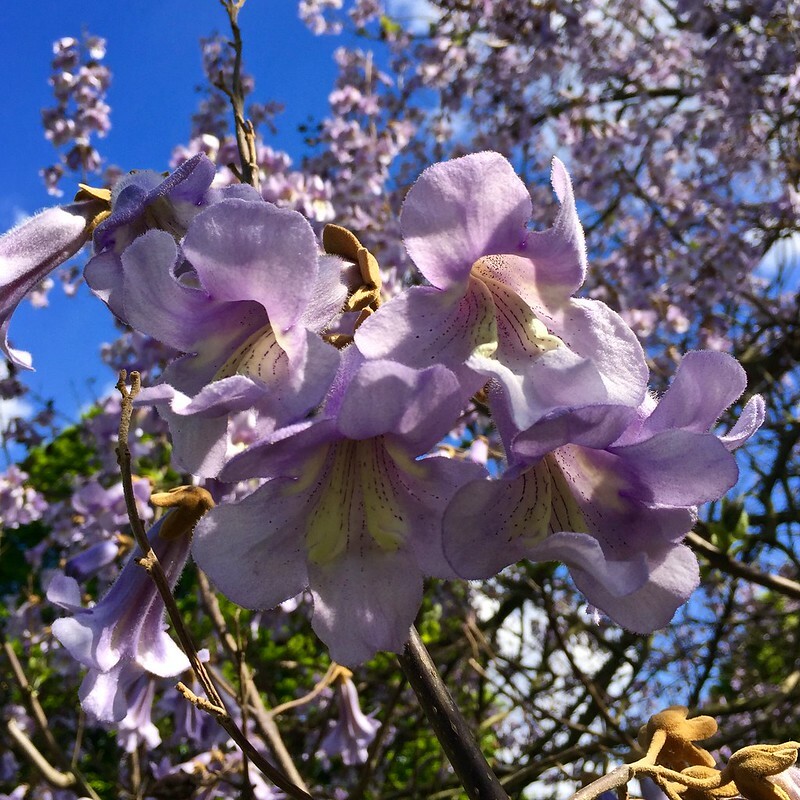 Paulownia has purple flowers like giant bluebells -well worth a look! Note: the photos in this report were taken on 18th (Kew) and 19th (Regent’s Park) April 2017. 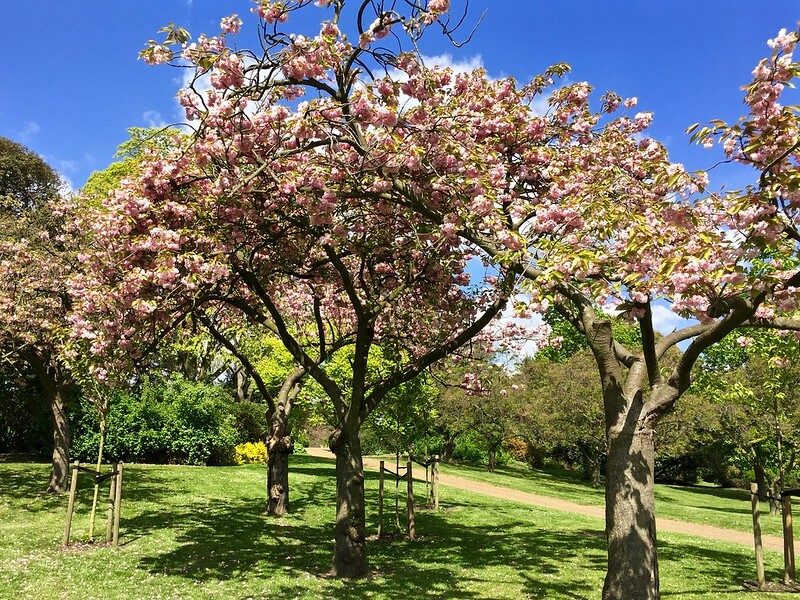 This entry was posted in Cherry Blossom, Kew Gardens, Regent's Park and tagged flowers, gardens, Judas Tree, London, nature, paulownia, plants by Fran. Bookmark the permalink. I couldn’t be in Japan this past spring for sakura season. 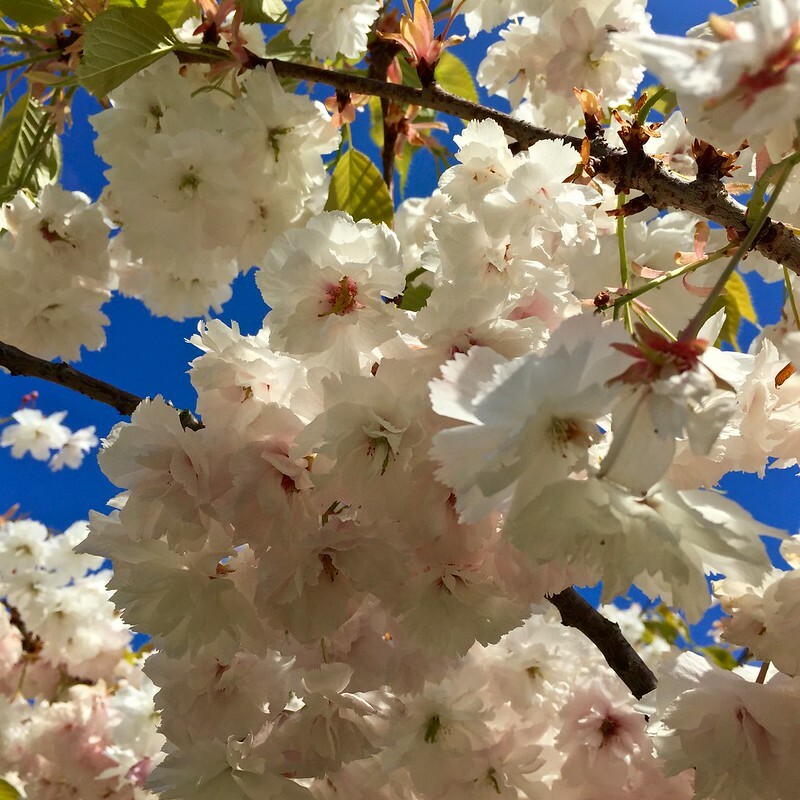 So imagine my delight when I arrived in London two weeks ago to gorgeously blooming cherry blossoms that stayed on the trees the entire time we were there. Such a treat! That’s lucky! 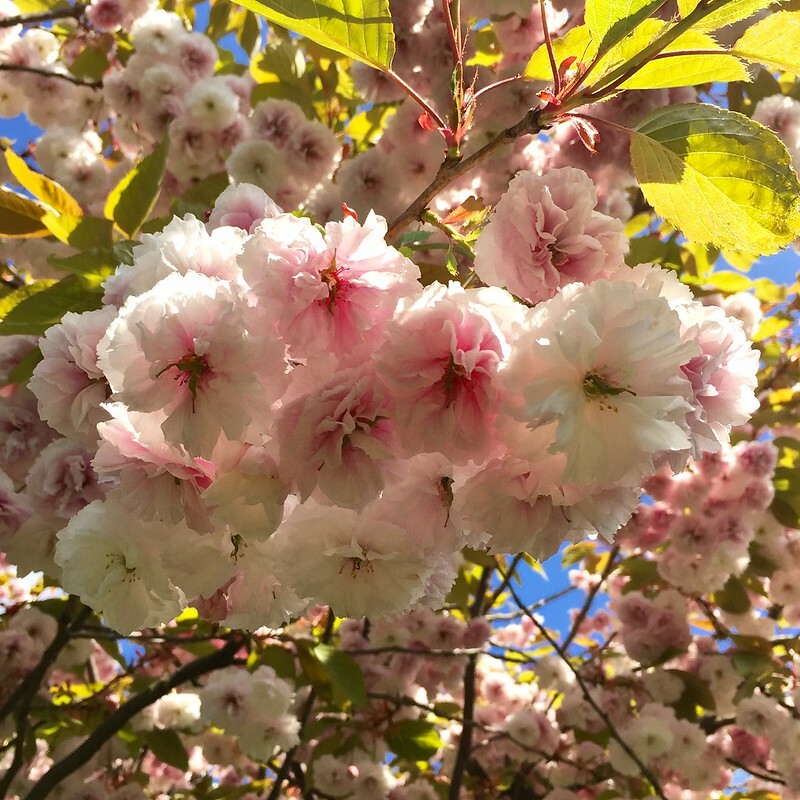 The blossom this year has been fantastic! 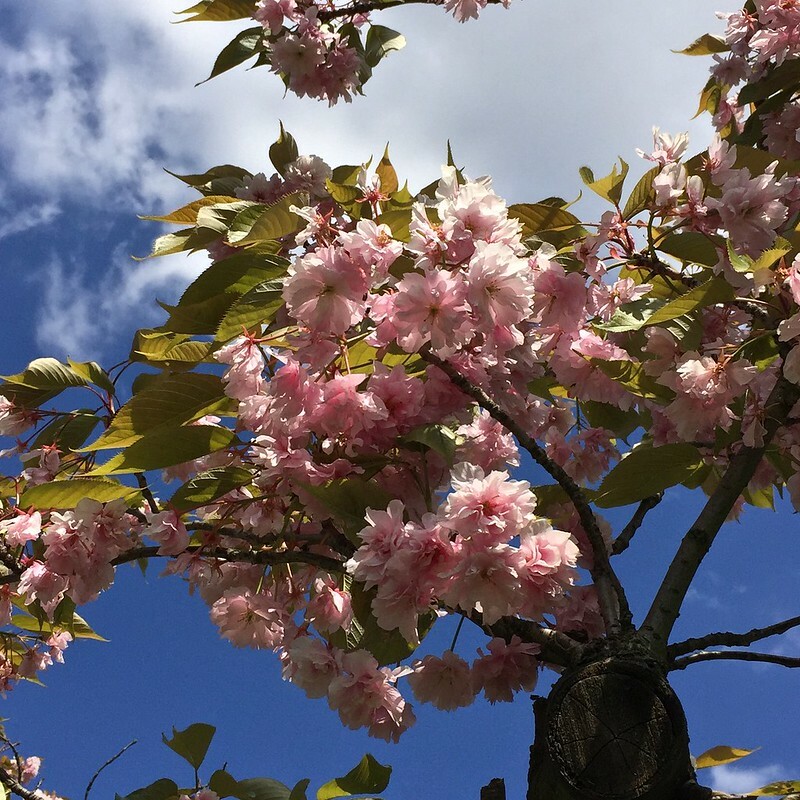 I’m visiting London 11th May onwards – any chance of seeing any cherry blossoms that time around? Sorry, the cherry blossom season was early this year and it’s already finished. Better luck next year!